VOTE: Daytime Emmy Poll – Who Do You Want To Win Lead Actor? 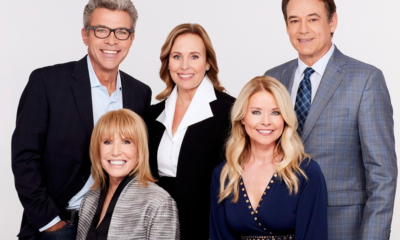 While you have heard from many pundits, and we have given you our On-Air On-Soaps picks for the Daytime Emmys on our predictions page, it’s time for you, our loyal soapers, to get a chance to cast your vote for which actor you want to see win tomorrow! So, if you were a blue-ribbon panel judge, who would you choose from the worthy five nominees? So after the jump, check out our Lead Actor Daytime Emmy Poll. You can only cast one vote from one IP address, so make it count! The balloting will continue this afternoon through to Saturday morning, June 23rd at 10AM PST time. So before we head out to the red carpet, we will let you know who the general consensus has chosen as the actor they would most like to see win the gold! And if you feel inclined, let us know why you voted how you did in our comments section below! 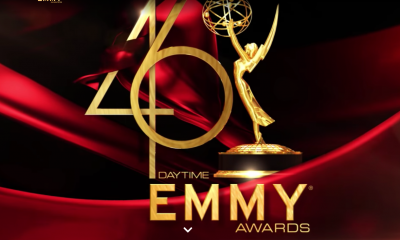 VOTE: Daytime Emmy Poll – What Soap Do You Want To Win Outstanding Drama Series? Devious Maids Gets 13-Episode Order from Lifetime! 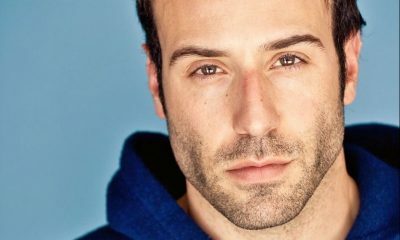 I am for Robert S Wood to Win And I love all these guys that are up for the emmy but Robert is my favorite because he was on my favorite soap and he is a hell of a good actor that deserves the win, I can’t believe there are 4 guys that I like in the best actor series. Robert S Woods for the win. Totally 100% with you Barbara too be honest I am TG fatigued out but everyone is predicting TG has it sowed up! TG has been deserving some years and some not the year Grant Alexander was up for GL TG won and I think he stole it GA was phenomenal that year it has become to political for my tastes .Robert Woods has a different style a suble style that makes you not realize how good he is plus he is the nicest guy off camera!!!! 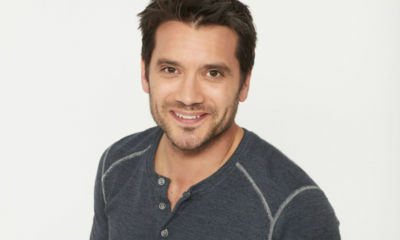 I love Robert he is one of my favorites from One life to live he is so genuine, down to earth, And one of day times best actors, I miss him, would love to see Bo and Nora do a few dances, then sit down and eat some junk food discussing what ever is happening with their family or what is going on in Landview. I loved them as a couple. That’s the one thing there was on one life to live happy families and couples that loved each other, I hope that our Visitors from landview can help the citizens of Port Charles learn how to truly love because one life to live was always above everything else, all about family. Well Barbara you will really like this one a friend of mine who is a GH junky said Tony Geary should not be in lead actor he should be in supporting because he is gone so much, she thinks JJackson should have been lead because he carried more story then any of the other GH actors, in other words she thinks JJ and TG shoul have been reversed but she wants RWoods to win. I can’t watch it so you guys cheer them on and I am praying RHearst gets it for GH. Previous comment to above should and it is RHerbst Sorry!!!!! This is a difficult choice. But I would hope Bob Woods could make it. I am always going to believe, though that Tony Geary is the best actor overall, because he seems to have all the tools to take the story and capture you along the way and you become invested. Good luck to one and all…. Anthony Geary for his record breaking 7th Emmy win.